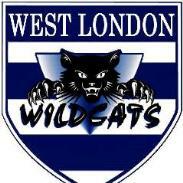 After winning the inaugural AFL Europe Champions League title in Amsterdam in 2015, the West London Wildcats have returned to the city of that success to successfully defend their title and remain the only winners of the Champions League. The AFL London powerhouse showed again why they have been revered for many years as arguably the best Australian Rules football club in Europe. Whilst one event is hardly conclusive proof, their record of success in winning eight flags back home in London since 2000, eight Brit Cups between 2002 and 2010 and now consecutive AFL Europe Champions League trophies makes it difficult to argue their place at the top of European clubs. The Wildcats downed a brave Manchester Mozzies outfit from the AFLCNE in the final by thirty points. In the battle for third place, the Hamburg Dockers from the AFLG defeated the South Dublin Swans by 15 points. Results (in game order) are below. Women’s matches are shown in italics. Results and standings believed correct at time of publication, but corrections welcomed.